In the GERSHWINS Academy we provide opportunities to gain ‘real life’ experience by learning within a busy, professional salon environment, giving you a competitive advantage at the same me as being stimulating and fun. A recognised NVQ Centre in partnership with South Devon College. We work closely with local schools providing careers advice and work experience placements. We provide in-house training for NVQ LEVEL 2 in hairdressing. 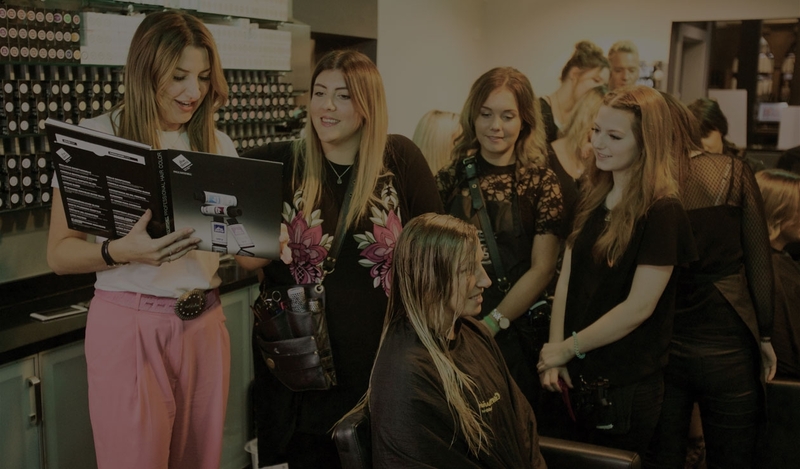 We offer a limited number of Apprenticeships each year, which can lead to employment as a Gershwins Stylist and continue on onto NVQ Level 3 and future opportunities; to diversify into all aspects of the industry from teaching to management. Approved In-house education provides an opportunity to earn while you are learn plus gives you a competitive advantage over college based students. If your dream is to educate and perform on stage then we can offer you these experiences too. Working with Paul Mitchell and 365 Day Hairdressing we provide passionate stylists an opportunity to become educators, not just at Gershwins but throughout the country, via the ART TEAM. We encourage all our team to aim to be on the ART TEAM to experience the thrill of travel and show work through hairdressing and team work. Our Future Professionals always require models for cutting & finishing, colour & perm services. For Academy model prices and appointments please call our Front of House Team.